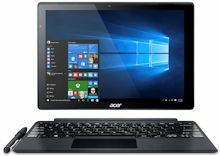 Acer has introduced its fall Next@Acer line, with powerful new Predator gaming systems, along with new consumer notebooks including convertible, ultrathin, and 2-in-1 designs, due in May and June. The new Predator 17 X gaming notebook brings overclocking performance and desktop grade components to mobile gaming, powering the 17.3" display (up to 4K UHD 3840 x 2160) with Intel Core i7 processor and NVIDIA GeForce GTX 980 graphics. It's 14.59 x 10.08 x 0.78 inches and 4.7 to 4.9 pounds (SSD or HDD), with prices starting at $699. The Aspire R 15 thin convertible consumer notebook provides real power in laptop package, with 15.6" display and Intel Core i7/i5U processors and NVIDIA GeForce 940MX graphics. It's 12.87 x 8.98 x 0.57 inches and 2.86 to 3 pounds (with touch screen), with prices starting at $699. The Aspire S 13 ultrathin notebook still packs serious power into a thin design with 13" display, with Intel Core i7/i5/i3U processors and Intel HD Graphics 520. It's 12.87 x 8.98 x 0.57 inches and 2.86 to 3 pounds (with touch screen), with prices also starting at $699. And for even better portability, the Switch Alpha 12 2-in-1 notebook with detachable 12" tablet, still has Intel Core i7/i5/i3U processors and Intel HD Graphics 520. It's 11.5 x 7.93 x 0.62 inches and 2.76 pounds (pad + keyboard), with prices starting at $599. To avoid over-cooking from all this power in the tiny package, the Switch Alpha 12 actually is liquid cooled, running without fans for better cooling and silent operation. See full post at Videomaker.com. Entries posted to Manifest Tech Blog in May 2016, listed from oldest to newest.